In 2010, the Fritz and Hildegard Berg-Foundation decided to aim for combining the two key concepts of sustainable health promotion and sustainable development, using urban spaces as an example, and to encourage interdisciplinary dialogues as signifying a new scientific culture. The junior research groups funded for this purpose , at the interface of science and society, are expected to develop outstanding strategies and concepts for the sustainable development of urban areas. This mandate should be realized by the use of interdisciplinary and practice-orientated research. 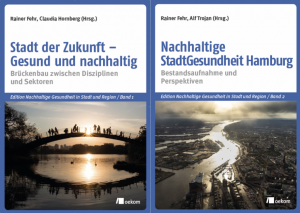 Simultaneously, the junior research groups contribute to strengthen approaches to inter- and transdisciplinary research in the field of urban environment and health as well as to establish the internationally highly topical research area Urban Health in Germany. The entire program was initiated in 2011 and has since then been funded by the Fritz and Hildegard Berg-Foundation.